We have been using the Omnipod Insulin Pump now for 2 years. It’s time to write a review to help those considering the Omnipod for their child. Choosing the right pump can feel like you’re navigating a minefield, all pumps do the same job, but different insulin pumps offer different features. Hopefully our review of the Omnipod will answer many questions you have, if not feel free to leave any questions in our comments section. Here we will run through what we believe are the features and benefits of the Omnipod, and describe the reality of using this insulin pump. Our hospital offered the full range of Insulin Pumps for us to choose from, I researched each pump and made a wish list, then chose the pump that ticked the most boxes on our wish list, for us that was the Omnipod, though everyone will be attracted to different pumps for different reasons. The Omnipod is rather unique compared to other Insulin Pumps on the market currently. 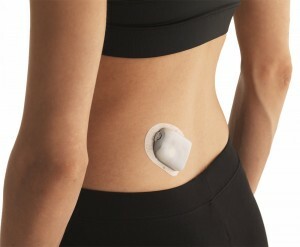 It is the only tubeless insulin pump that is readily available, also known as a patch pump. There are 2 components, the Pod and the PDM (Personal Diabetes Manager), though we tend to call it the handset or the remote control. The Pod measures 3.9 cm × 5.2 cm × 1.45 cm. Essentially around the size of a custard cream biscuit. It has a self adhesive strip and you simply stick it to the body, it can be worn on many different areas, though the most popular seem to be the lower back, tummy, arms and thighs. Inside the Pod is all the mechanical workings, the cannular and the insulin reservoir. The reservoir holds 200 units of insulin. 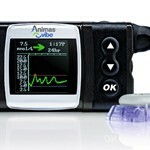 It can be worn for a maximum of 3 days, it is a recommendation across all insulin pumps to change cannular after 3 days. 200 Units is a pretty average sized reservoir, it may not be big enough for teens or those with high insulin requirements to last the full 3 days, if it doesn’t, it’s not a big deal you can change the Pod sooner. After 3 days the Pod will beep to alert you that it is time for a change, which we find pretty handy so we don’t forget and we keep to best practice. If you leave a cannular on for much longer you run the risk of absorption issues. Once you reach the full 3 days, you then have a further 8 hours in which to change the Pod, after 8 hours it will alarm and cannot be used any longer. The PDM is essentially the remote control. From the handset you can set temporary basal rates, change ratios, deliver a bolus, basically do pretty much everything you would want to. The screen will show you the last blood glucose number, last bolus size, how much insulin is on board, as well as some other indications. It’s not as modern to look at as some other handsets on a couple of other pumps, but it is robust, which is important with children. Though I won’t lie, I’m looking forward to the next release PDM which should be slicker. The Omnipod Insertion process is one of the things that attracted us to this pump, it’s so very easy, and the PDM talks you through a Pod change step by step. Firstly you simply deactivate the current pod using the PDM, then tell it you want to start a new pod. Next step is to fill a pod with Insulin, using a vial and syringe. Once that is done it’s time to prime the Pod, just by touching a button, priming only takes around 30 seconds. Once primed you then simply stick the Pod to the body, once in place you press the Start button for the cannular to fire. The needle will fire and retract automatically in less than a second, leaving the flexible cannular in place. The cannular looks like a flexible plastic thread, nothing scary about it. Omnipod insertion is ideal for those that are needle phobic, automatic insertion means you never see a needle. It’s all so fast and simple. Here is a video that shows you just how easy it is. The Omnipod PDM contains a built in blood glucose meter that uses the Abbott Freestyle Testing Strips. We find it useful having a built in meter as it’s one less bit of kit to carry around. We also like the Freestyle Test Strips as they use the smallest blood sample of any test strips, this is around half of what many meters use. We also like the fact that if you don’t get enough blood on the strip straight away you have time to add more before getting the error messages. However if you do have blood glucose meter that you particularly like, you can continue to use that and manually input the readings into the PDM. If you are worried that your child may not be using the correct readings or making them up etc, which I know can happen in the teen years, when you look back at the blood glucose history on the PDM next to any readings that have been inputted manually you will see a black question mark, so if your child is meant to be using the built in meter you can quickly see if there are any issues with not testing. Beside the automatic insertion, we’ve found many other benefits to the Omnipod Insulin Pump. Being tubeless offers so much freedom. There is no need to remove or unhook the pump for any activities such as PE and Sport. Removing any risk of forgetting to put it back on. Another benefit to using a tubeless pumps, you will not get air bubbles in tubing that can lead to high blood glucose events. 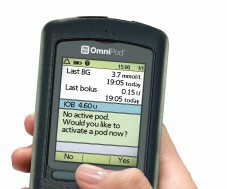 Should a Pod suffer an occlusion (stop delivering insulin) the Pod will alarm and tell you to change the Pod. However if you have a problem with the cannular not inserted correctly and the Pod continues to deliver insulin it will not know that you are not receiving insulin, so whenever you have unexpected high readings it’s best to check the Pod for leaking insulin or look through the window on the Pod to ensure the cannular is in position. If in any doubt you need to do a Pod change, though this is the same rule for all Insulin Pumps. The Pod is also waterproof, we’ve tested this to it’s limits on holiday, in and out of the pool, cliff jumping into the sea, and a full day at the water-park. Nor do you need to remove it for showering or taking a bath. Life just carries on as normal, you can forget about the Pod for the full 3 days. My son was 10 when he first started using the Omnipod, he is also pretty shy about anyone seeing his equipment. We have found the Omnipod to be very discrete, he likes to wear it on his lower back, this means when wearing a t shirt or school uniform it just can’t be seen. Having a separate remote is also very discrete. Traditional pumps with tubing need to be kept in a pocket, or a pump belt or even clipped to the waistband, there is no need for this with the Omnipod. 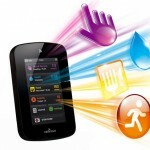 We would not personally want to be without a separate handset like the PDM. It’s useful at night and when my son is busy or active, I don’t need to invade his space to access the pump, I can just walk up to him with the remote and make any changes I want to. Honestly for us there are very few negatives. Yes it would be nice if the handset was modernized but it’s robust, as I say. The minimum basal rate is 0.05 units which is larger than some pumps but this has never caused us problems, we started using the Omnipod when my son was in the Honeymoon Period and on small amounts of insulin and even then we didn’t ever feel like we needed smaller doses. Though for very young children in the honeymoon this may be a consideration, though I’ve read in many Omnipod support groups of toddlers using the Omnipod successfully. Now in fully established puberty there are times when the 200 unit reservoir isn’t large enough to last 3 full days but I guess if the reservoir was larger the Pod would need to be larger too. 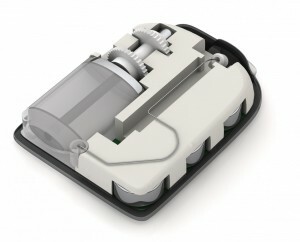 There aren’t many insulin pumps that offer a larger reservoir anyway. On those occasions when we don’t get 3 days out of a Pod, change over is very quick and easy anyway. As I’ve said the handset to us is a real bonus feature but there is a risk of losing it, as it contains the built in blood glucose meter I’d like to think your chances of going anywhere without it are slim. If you do lose the PDM though, the basal will continue until the Pod expires but you won’t be able to deliver any bolus until you have a new PDM. We’ve never had an emergency with the Omnipod so I don’t know how quickly a new PDM would be delivered but whenever I’ve ordered anything we’ve found customer service to be excellent and new supplies arrive on a next day delivery. Omnipod has no facility for integrated CGM, but you can use a stand alone system. 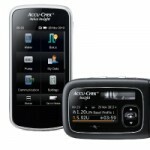 We have just ordered the Dexcom G5 to use along side it. We are currently using the Abbott Freestyle Libre, Flash Glucose Monitoring System which has been great working alongside the Omnipod. Whilst I can’t say we’ve ever tried any other Insulin Pumps we are delighted with the Omnipod. We’ve found it very reliable and easy to use. 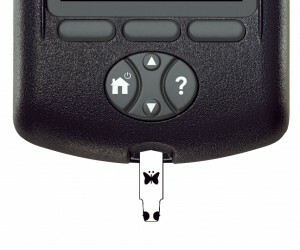 We love the unique features that it offers and at this time, if we were choosing another Insulin Pump we would choose the Omnipod again. The Omnipod might not be the right pump for you but I hope you’ve found this honest review useful. If you’re still confused about which is the right insulin pump for your family, you may find our Pump Comparison Guide useful. Also you can find more user reviews of the Omnipod here. Our experience with the Omnipod have been very positive, but this doesn’t mean it’s the right pump for you. If you are also using the Omnipod please leave your personal review in our comments section below to help others that are considering a tubeless insulin pump. If you’ve found our Omnipod Insulin Pump Review helpful or interesting please subscribe to our free newsletter for more Type One News, Information and More. Simply pop your email address in the box below, then confirm your email address when you receive our confirmation email. ← Tips For Parents – Children Recently Diagnosed With Type 1 Diabetes. My daughter has used the Animas ping and Medtronic before getting her omni pod and this was the best decision we ever made. The fact that it is tubeless has made life so much easier. No more hiding the tube, proms and dances were hard because something had to hold the pump, but not anymore. It simply sticks on where ever you put it. We’ve never had an issue where it falls off. This pump is by far the easiest one to use. I couldn’t believe the difference. Agree with the review we like the pod,can’t imagine using a tube pump,my son is very active so it works for us. Have gone through airport with no problem we don’t take it off the scanner had no effect on the pump. My daughter has been on Omnipod for over 2 years. Your review is spot-on! Anyone considering Omnipod can get every bit of information to make an informed decision from this article. I honestly don’t understand why anyone would choose any other pump, unless of course their insurance doesn’t cover Omnipod. We love it, my daughter is 10, extremely active, and plays year-round travel soccer. Hi Amy, My daughter was recently diagnosed and we are in the process of considering the Omni pod. Your post really caught my attention as my 11 year old daughter is extremely active. Like yours, soccer is a huge part of her life 2 travel team several weekly practices you know the deal. We have concerns about how well it has been able to stay on, does is require any additional wrapping tape for adhesion or protection? Any suggestions or thought is much appreciated. We chose the omnipod for our 21 month old son for a few different reasons. 1. I figured tubes were not an option for him as it posed a choking hazard, as well as him just pulling them off all the time (he doesn’t realize he has diabetes and definitely doesn’t realize the repercussions of unhooking a tube). 2. We couldn’t figure out where we would put a different pump on him. Toddler clothes don’t have the best of pockets and the waistbands are normally soft…plus, pretty sure he would play with that as well. So omnipod seemed to be the only option for us and it has worked very well. We have the Omnipod for my now 3 year old (we started it when he was 2.5). We love it! The only downside is that the basal was not quite small enough when we first started. You are not able to just turn the basal off. We had to set a temp basal to turn the basal off for the maximum of 12 hours at a time. It was kind of relieving to be able to start basal through the pump. We have also found that the adhesive on the pods is normally enough to keep the pod on for the full three days. There have been a few times where it has started to come off before then, but it will generally last the 3 days. We do not use any additional agents to help make the pods stick. My 7 year old daughter has been on Omnipod for a year now and we love it, no negatives at all! Your review is spot on! We had a minor issue with our PDM a month ago where it was not recognizing the test strip on the initial insert so Omnipod, without hesitation, sent us a new PDM (it still worked but was more of a nuisance). We live in a very rural/isolated part of Canada so what impressed me the most was the fact we received the new one less than 15 hours later! This is unheard of where we live! We’ve been on the pod for 4 months and now we love it. Initially we had problems getting the pods to stay stuck on but with help from an adhesive this problem is solved. Had to call out of hours in Xmas day as had a PDM failure and they were fantastic talking us through resetting PDM. Very quick sending consumables out. I’m using the Medtronic 530G insulin pump and CGM and it’s good too but the tubes and placement of the pump is sometimes irking. Also, swimming does require temporary removal of my pump, which sometimes leads to high blood glucose levels if I don’t check back in and reattach every hour or so. I’m considering, when eligible via insurance, switching to omnipod. Does the CGM work with the PDM? Not in the way of controlling or adjusting insulin delivery for you, but rather, report glucose readings remotely to your device so you dont need to manually enter the glucose reading for adjustments, and/or use two devices for tracking levels? Anyone know the anticipated date of the next omnipod release? Thanks! Hi Dawn. There is no integration from CGM to Omnipod but you can manually input the reading from your phone or receiver into the PDM. No confirmed dates yet on a new model.